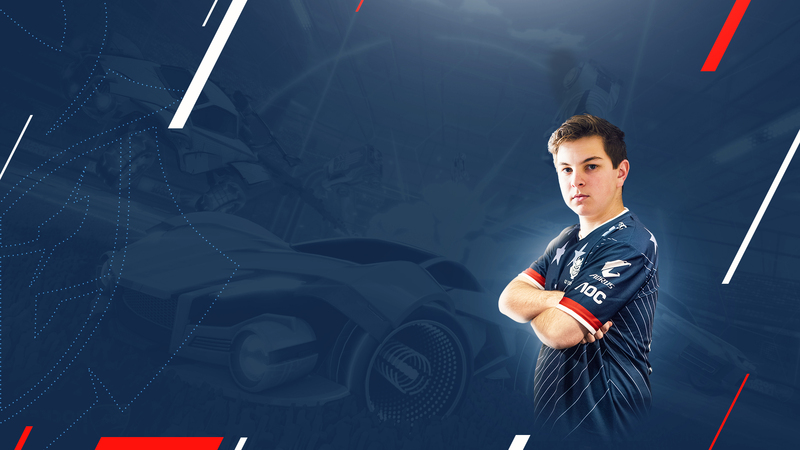 Earlier this year, G2 announced that they would part ways with long-time member and Rocket League veteran Kronovi to make room for a young player that has been taking the world of Rocket League esports by storm: Reed Wilen, better known by the name Chicago. Today marks Chicago’s first RLCS match as a player of G2, which is why we wanted to catch up with the 17-year-old to talk about his expectations, his favorite opponents and how he’s handling school and esports at the same time. We hope that you enjoy this interview, and we’re happy to announce that you’ll be reading a lot more from G2 in these upcoming weeks on Rocketeers.gg. Chicago will be the subject of our first player’s diary, a weekly column with which we want to explore the life of a professional Rocket League player during RLCS league play. Stay tuned for this series of articles! We caught up with our newest Rocket League star, @Chicago_RL, in the latest episode of our “Get To Know” series! Chicago, RLCS S7 is about to start. How do you feel only hours away from the kickoff of the new season? Is it more excitement, nerves or just a full on focus on the challenge ahead? It’s been quite awhile since I have gotten to play an RLCS match so I am more excited than anything. We have all been waiting for league play to start, so I think we are itching to get back on the pitch. Your first match will be against Spacestation Gaming, formerly known as Bread. What do you expect from them? Spacestation Gaming being one of the teams to promote from RLRS is exciting, because you get to play new faces. We won’t be surprised by them though, because we have been practicing against them for a couple of months. However, scrims never truly relate to real matches so it should be an exciting series. What team are you most looking forward to to play against? I am looking forward to play against NRG the most, because we have played them quite a bit in offseason tournaments but always lost in one of the last games. To play them in RLCS is the most important matchup and to get our revenge there will give us our feeling of redemption. Most people see Cloud9 and/or NRG as the favorites of the NA scene. Do you consider them the toughest opponents as well? And how do you plan on beating them? You still go to school. How do you handle league play and training while simultaneously focusing on your education? Going to school is definitely a challenge when playing a competitive esport because you have to make time for practice, matches, and more. Which makes it all about time management, because school for me is the number one priority. So, as long as I keep my grades up then it becomes about finding time for practice and time for managing my schoolwork. How supportive are your parents of your esports career? My parents were not always super supportive of Rocket League, because they believe education is always the number one priority. Although, when my team was approached by Dignitas and they offered me a contract, my parents saw that this has potential and that there’s a realistic career that could be made out of this. Now they are super supportive and always ask about my matches and how the team is doing. We’ll be hearing a lot more from you over these upcoming weeks through our player’s diary. We’re excited to hear your thoughts. Any final message for the G2 fans out there? Find out as Rizzo, @JKnaps, and @Chicago_RL try to uncover Who is Who of famous trios! Where do you see G2 in the power ranking of NA? Join our Rocket League Discord server and discuss it with the community. FC Barcelona enters Rocket League esports, signs RLCS team Savage!